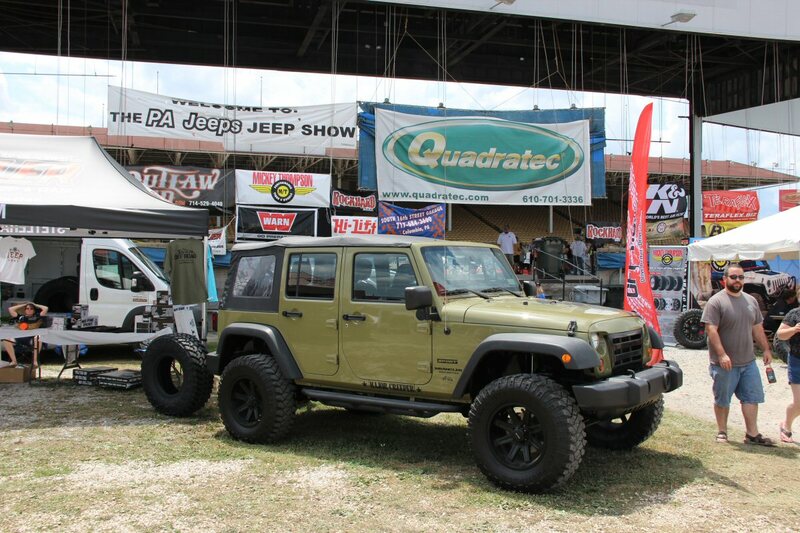 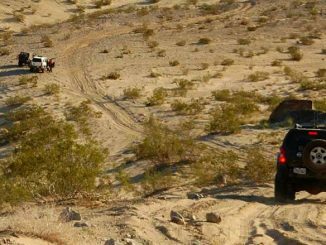 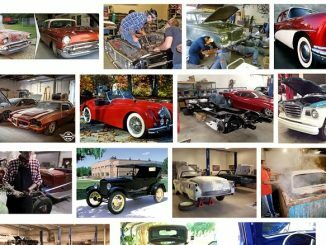 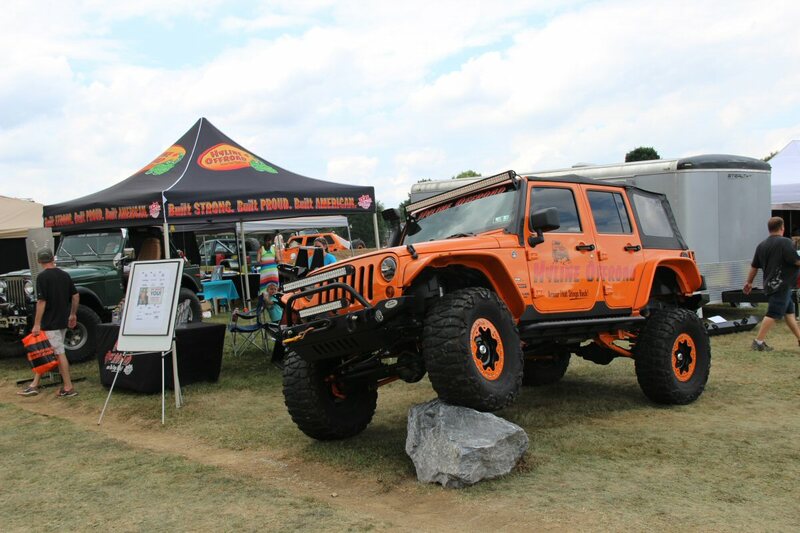 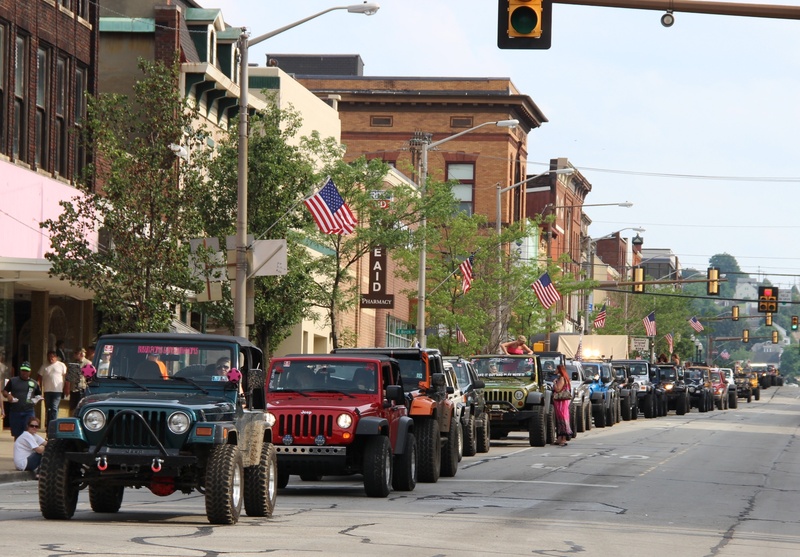 Back in December 2014 the Bantam Jeep Heritage Festival announced their plans to recapture the Guinness World Record for the largest parade of Jeeps during the Festival’s upcoming 2015 event. 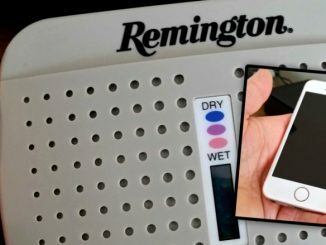 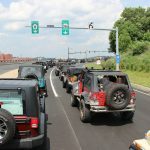 The previous record of 1,846 was captured by the Jeep Beach USA at the Daytona International Speedway in Daytona Beach, Florida just a few short weeks ago on April 26th of this year. 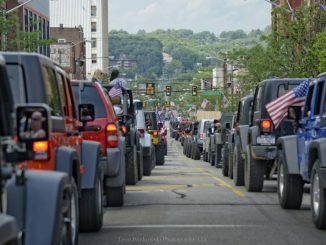 Well it didn’t take long for that record to fall and fall hard. 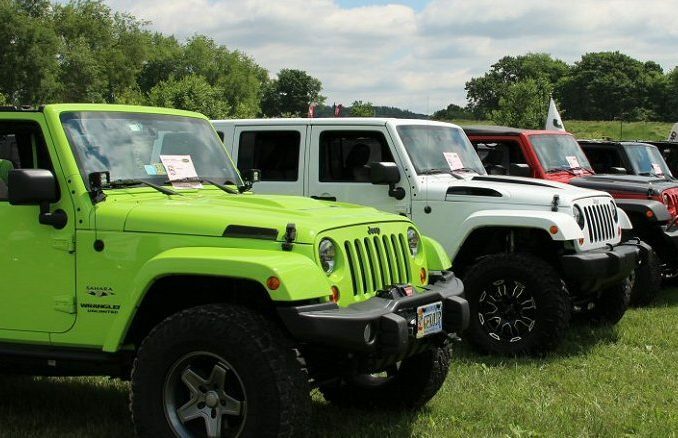 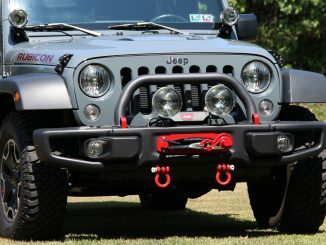 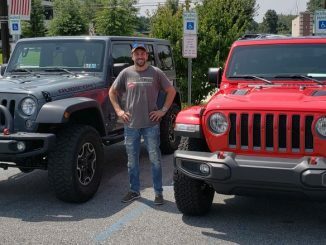 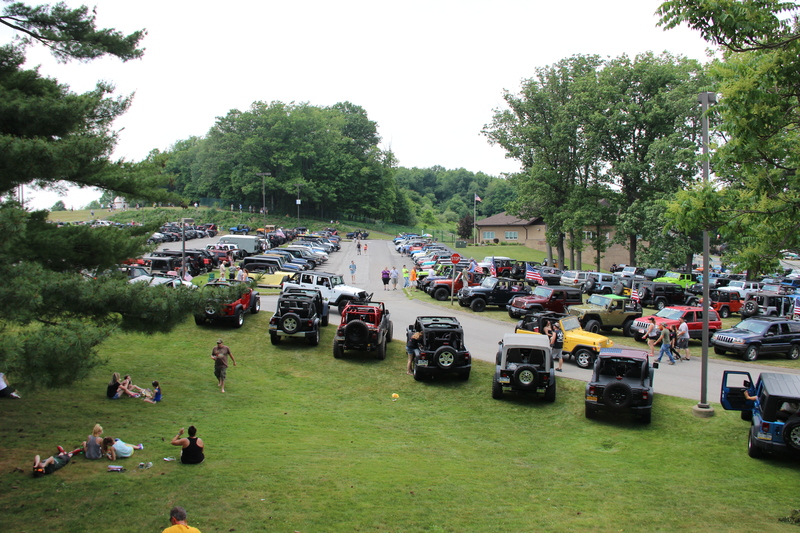 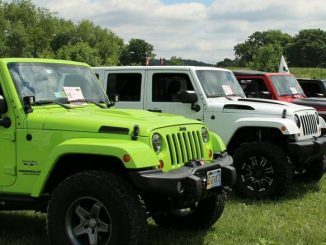 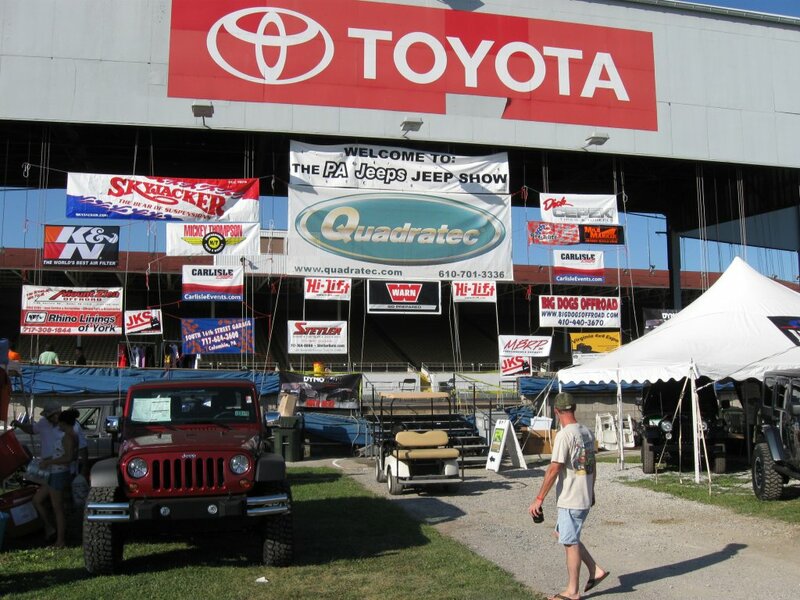 On the morning of June 12, 2015 at the Butler County Community College staging began as a sea of Jeeps steadily flowed into and filled the campus parking lots spilling over into the grass covered court yards filling just about every possible place to park a Jeep. 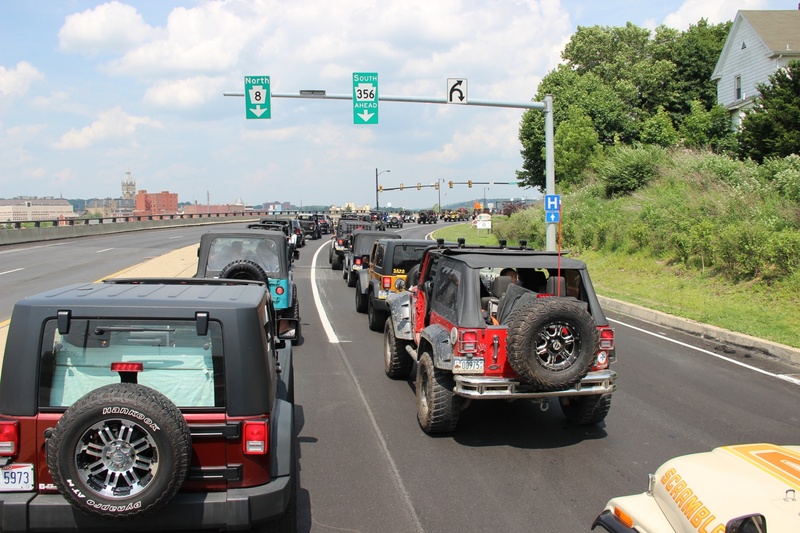 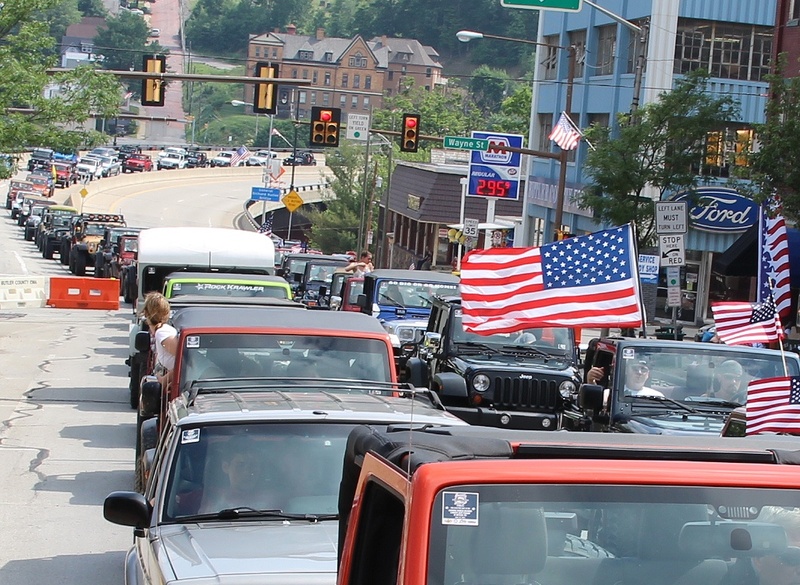 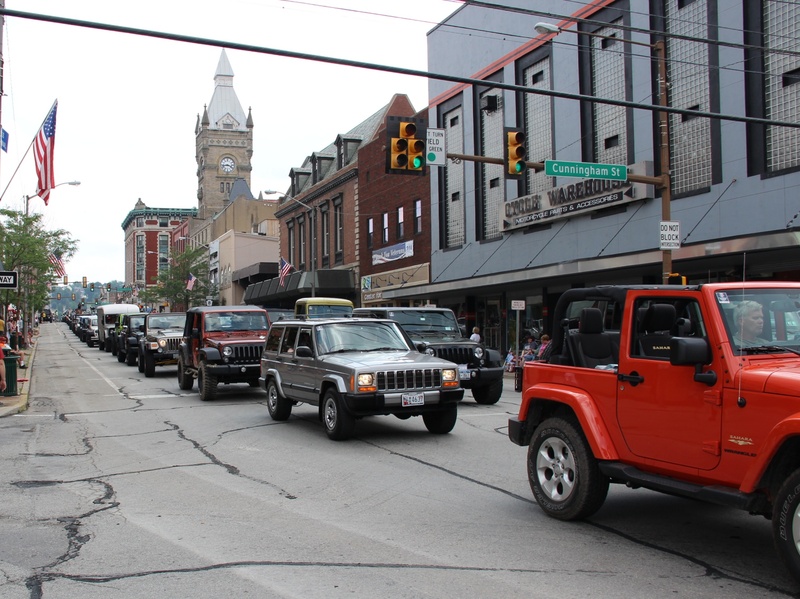 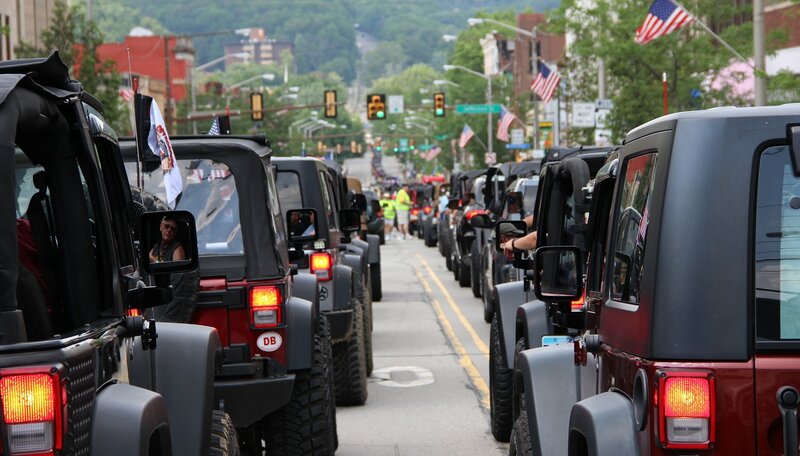 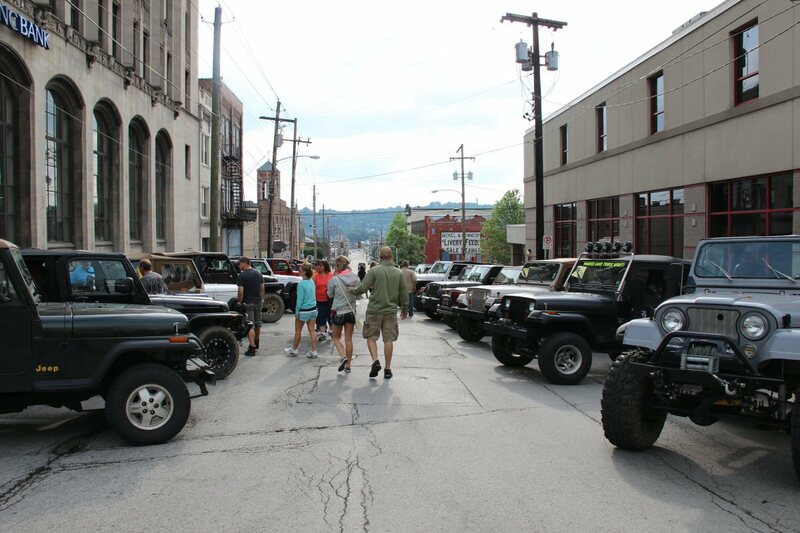 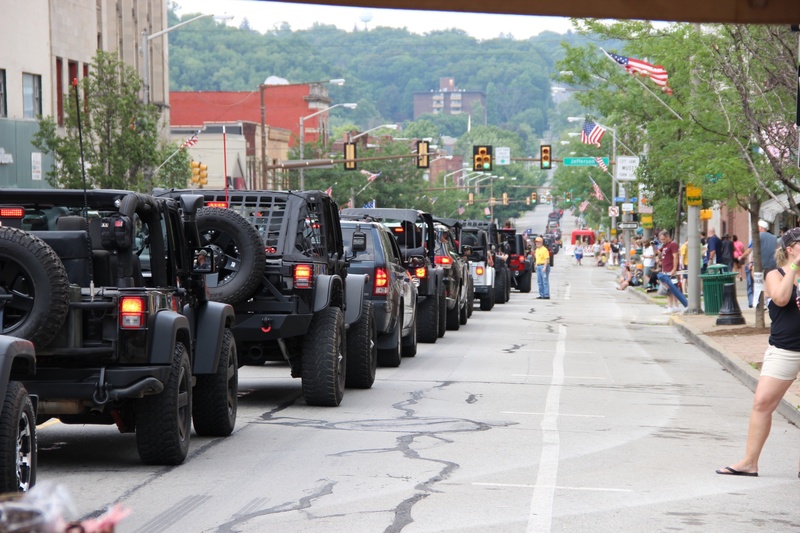 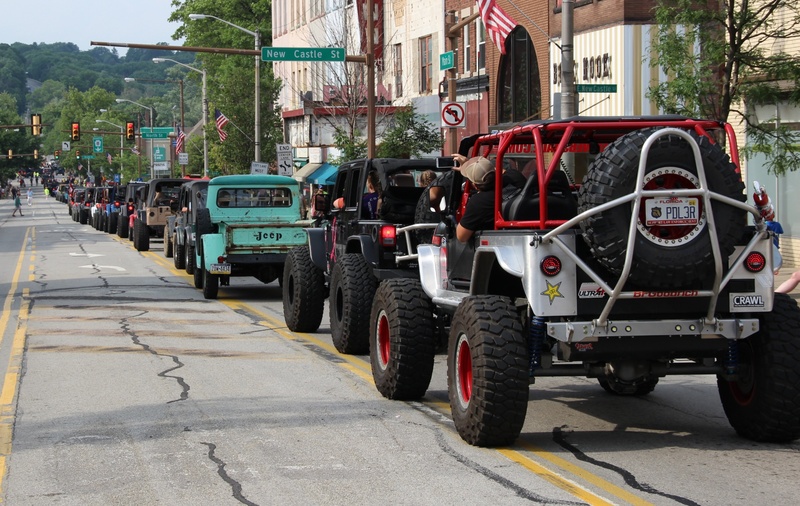 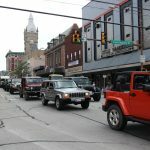 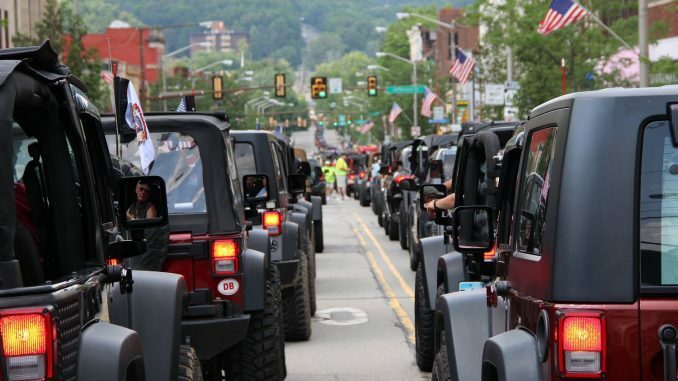 At precisely 2:30pm Festival volunteers assisted began a very organized exitus towards Downtown Butler PA. After several hours an official 2420 Jeeps made their through Downtown Butler, smashing the previous record by 574 Jeeps. 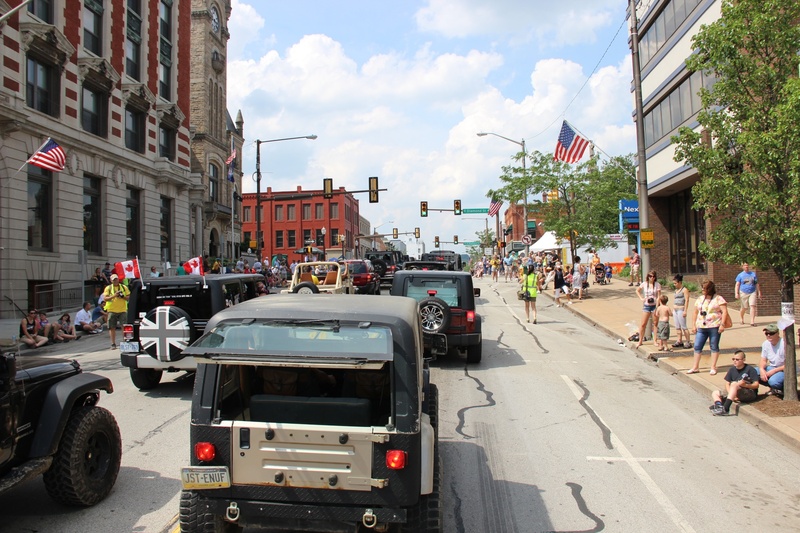 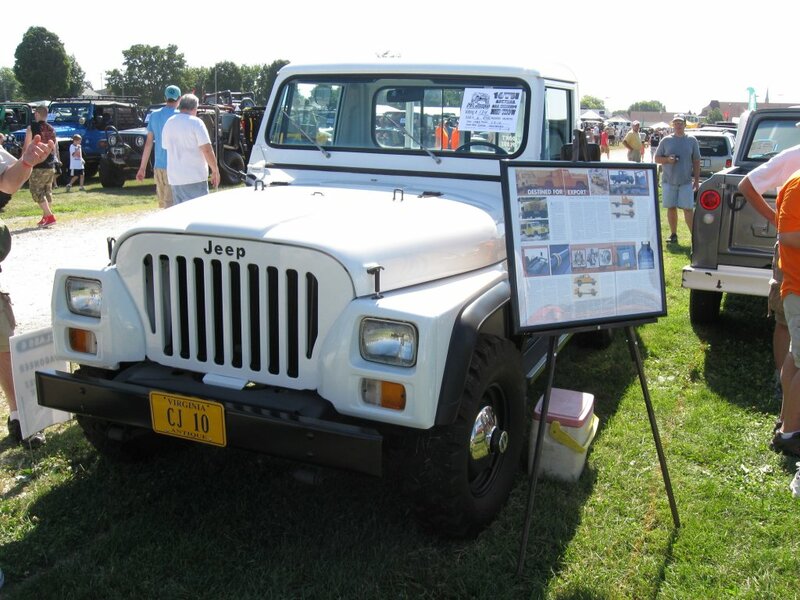 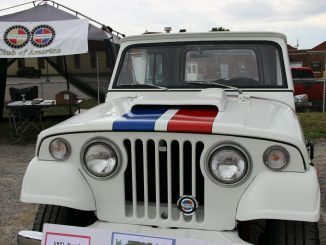 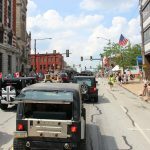 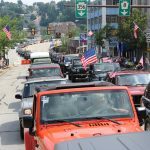 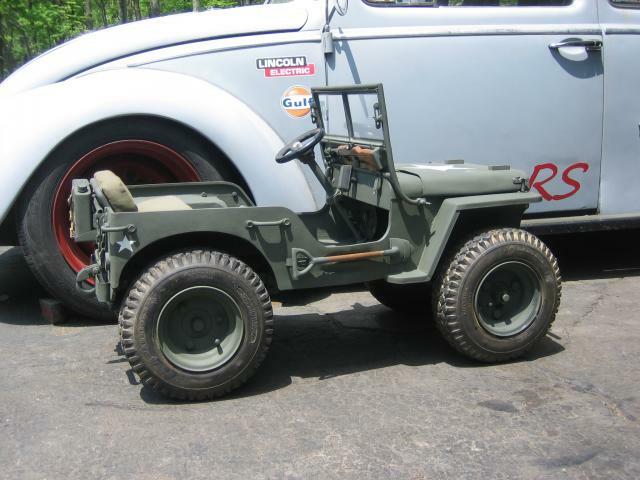 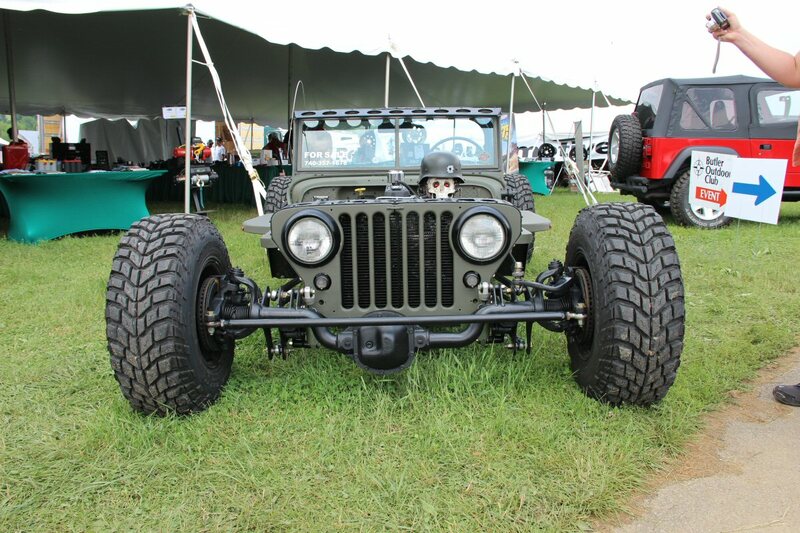 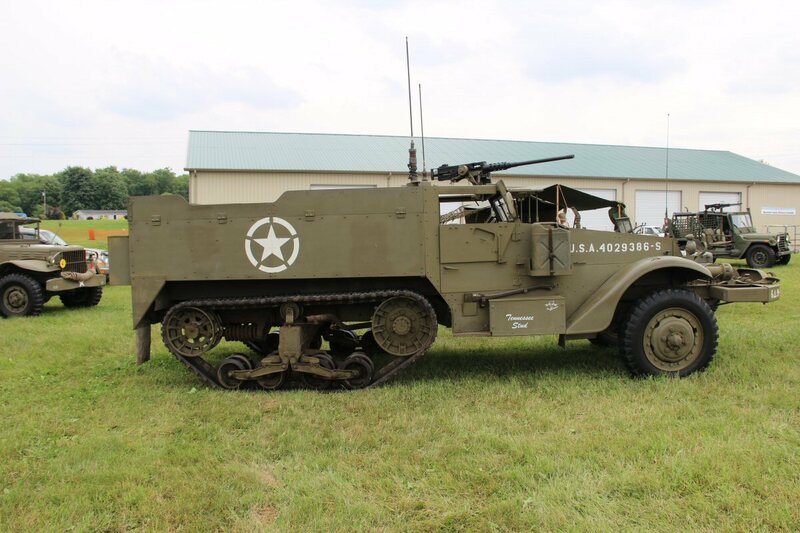 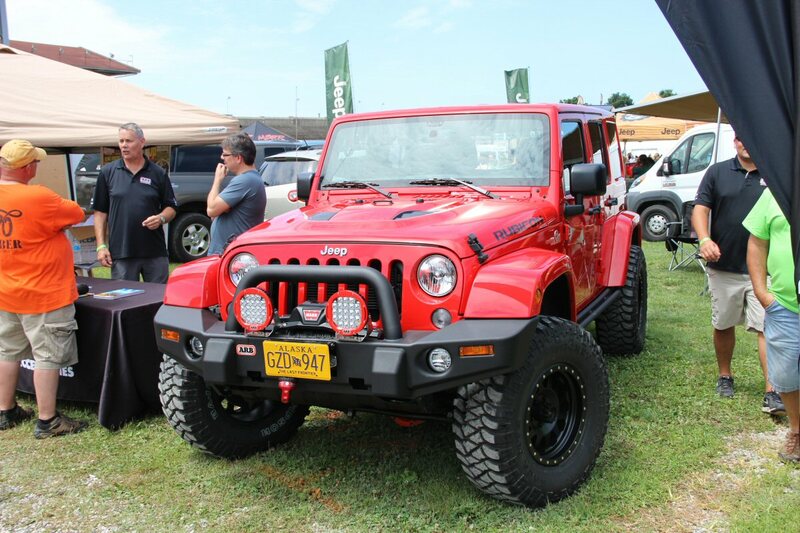 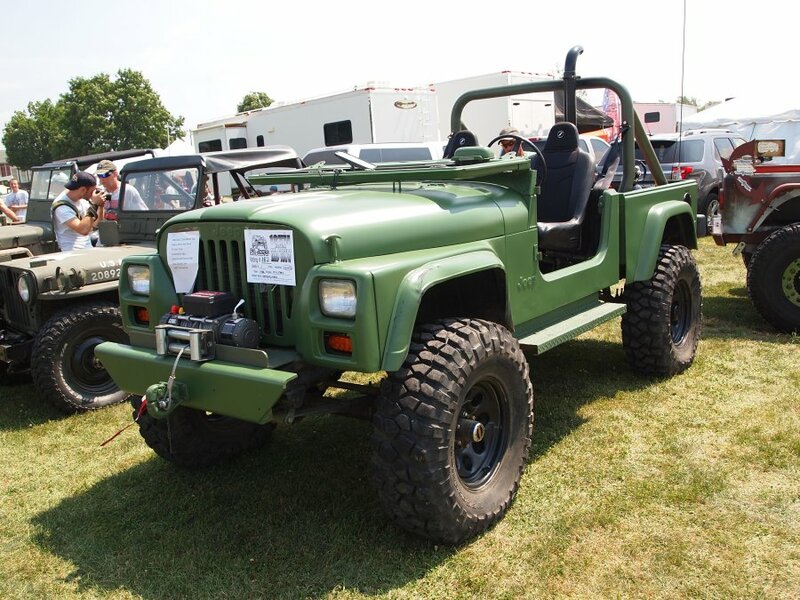 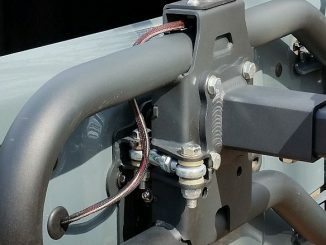 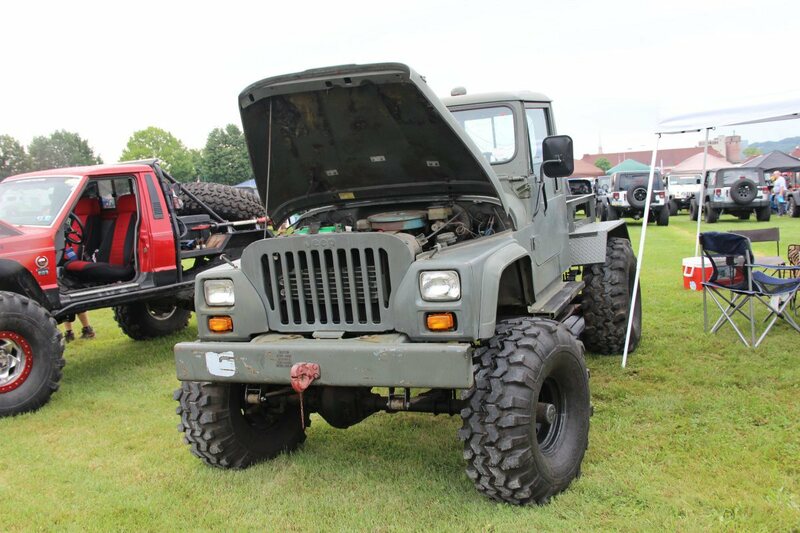 The Jeep parade kicked off the 5th Annual Bantam Heritage Festival and 75th birthday of the Bantam Reconnaissance Car (BRC) which was produced in Butler PA back in 1941 and known as the first prototype that eventually became the Jeep. 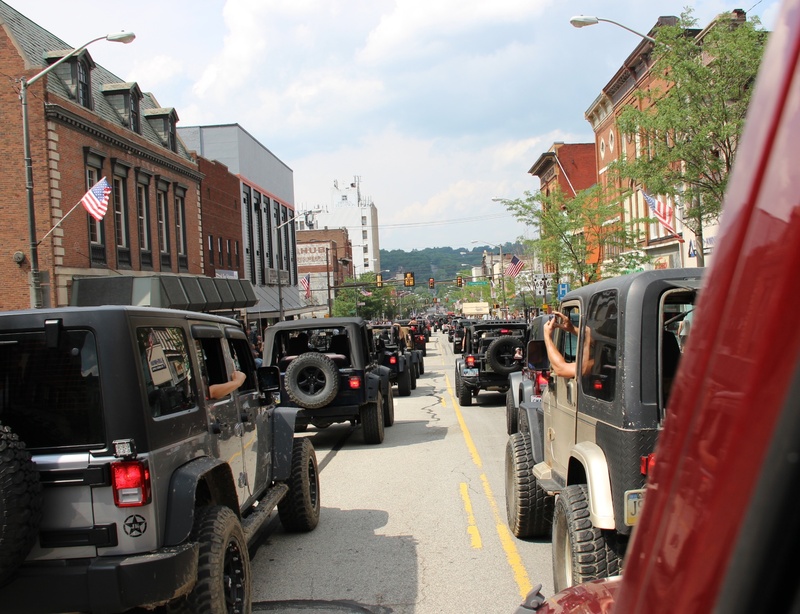 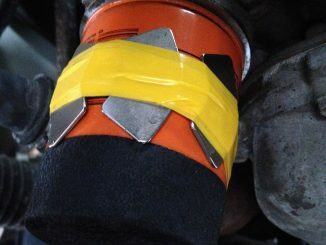 Below are photos from the staging area at the Butler County Community College. 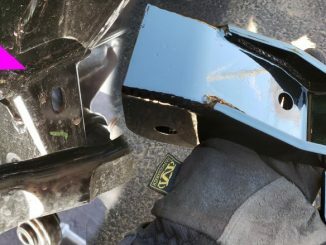 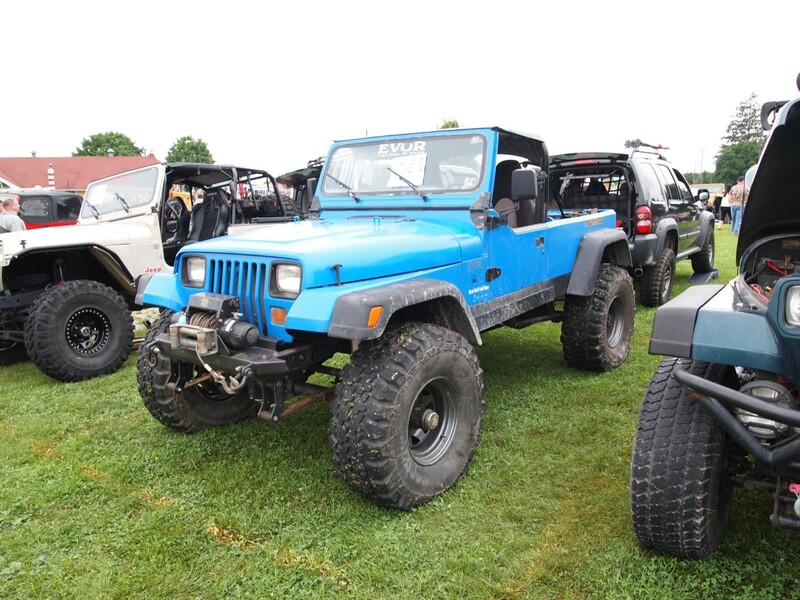 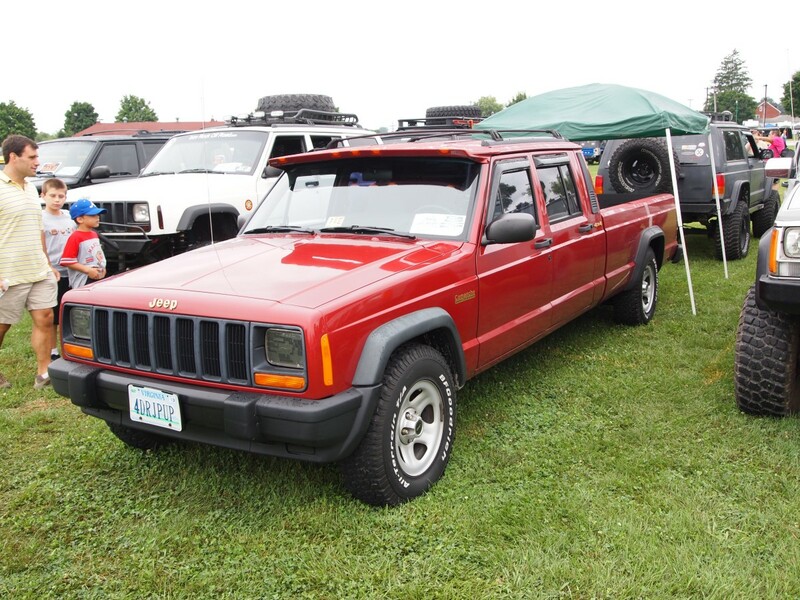 These photos show only a small percent of the total Jeeps parked on the campus. 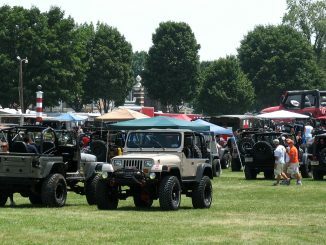 Jeeps were literally everywhere filling every lot parked all along the roads and spilling out over into the grass and fields. 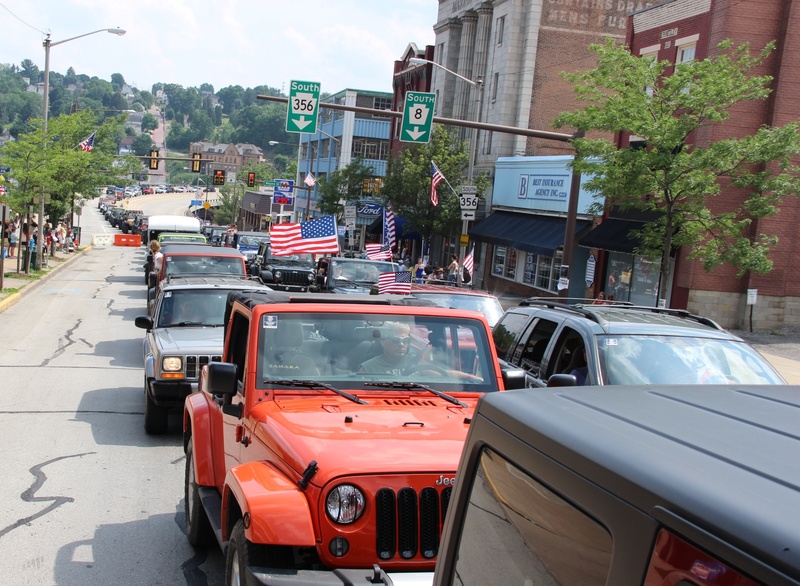 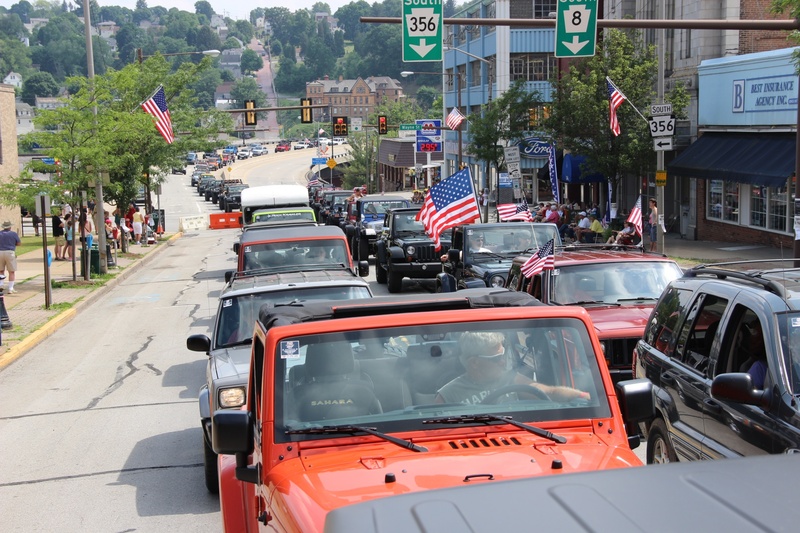 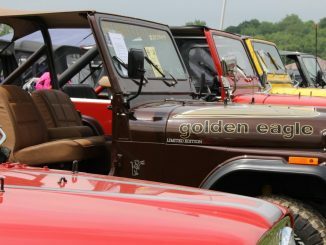 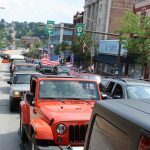 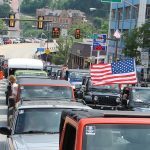 From the collage campus, the Jeep Parade made it’s way a few miles into Downtown Butler PA where thousands of spectators watched a river of Jeeps flow through town.